Properties in Cape Cod average 4.7 out of 5 stars. Hurricane Pines - Across the street from the beach! Property 1: Hurricane Pines - Across the street from the beach! ⛱1940's Renovated Bass River Cottage B Central AC 1/2mi walk to 3 Ocean Beaches! Property 8: ⛱1940's Renovated Bass River Cottage B Central AC 1/2mi walk to 3 Ocean Beaches! South Yarmouth Cottage - Walk to Seaview Beach! Property 17: South Yarmouth Cottage - Walk to Seaview Beach! Eastham Cottage w/Backyard-100 Yards to the Bay! Property 19: Eastham Cottage w/Backyard-100 Yards to the Bay! Beachcamp Cottage + Only 50 Steps to the Beach + Updated & Close to Everything! Property 27: Beachcamp Cottage + Only 50 Steps to the Beach + Updated & Close to Everything! West End Cottage: Charm, privacy and yet close to everything. Property 29: West End Cottage: Charm, privacy and yet close to everything. Lakefront 2BR Cottage w/ Screened Porch, Large Yard & BBQ – Newly Updated! Property 31: Lakefront 2BR Cottage w/ Screened Porch, Large Yard & BBQ – Newly Updated! Enjoy this Hidden Hideaway in a prime location! Property 36: Enjoy this Hidden Hideaway in a prime location! Warm & Inviting renovated cottage close to beaches, activities & more. Property 38: Warm & Inviting renovated cottage close to beaches, activities & more. 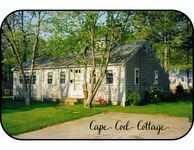 Quintessential 2BD Cape Cod Cottage--Steps from the Beach! 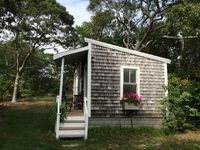 Property 43: Quintessential 2BD Cape Cod Cottage--Steps from the Beach! THE BOAT HOUSE LOFT of Cape Cod ~ Amazing Waterfront Vacation! Property 45: THE BOAT HOUSE LOFT of Cape Cod ~ Amazing Waterfront Vacation! Perfect, it was clean, quite and near the ocean. It was perfect, clean, quite, beds perfect, and one street from ocean. great location. Thanks Richard for your disponibility. What can I say about this rental and its master of ceremonies, Billy. Not enough! From the moment we arrived we were met with assistance, kindness and warmth- including a freshly baked apple pie on the table! The cottage is EVERYTHING! Eclectic, artsy and homey - each area of wall, corners and floor space representing a special time or moment. Just beautiful. Don&rsquo;t let the small size fool you- this home is perfectly appointed with everything you need for a long weekend or a week or a month! The next time I don&rsquo;t think I have room for one more thing in my kitchen I&rsquo;m calling Billy to help me figure it out! Oh! And the yard! Grill, fire pit, sweet sitting areas, hammock! We enjoyed ourselves immensely! And so did our dog, Bentley. Thank you, Billy!! We will be BACK!